We offer Baja sea kayaking excursions to remote islands and beaches in the Sea of Cortez including the National Parks near La Paz and Loreto and Baja whale watching trips in Magdalena Bay, Southern Baja California, Mexico. Our focus is creating active trips using sea kayaks and snorkel gear to enjoy unique wildlife encounters and learn about the rich natural and cultural history of Baja and the Sea of Cortez while enjoying delicious regional foods in a guided tour format. 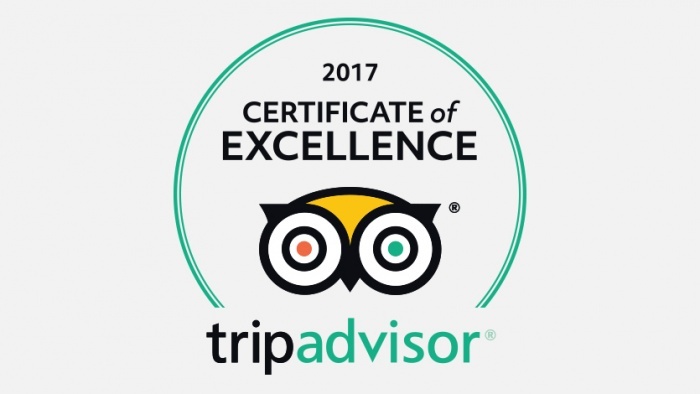 A locally operated sea kayak and whale watching eco-tour outfitter since 1993, Mar Y Aventuras operates sea kayaking, paddling and whale watching trips with the utmost respect for the local culture, flora and fauna. 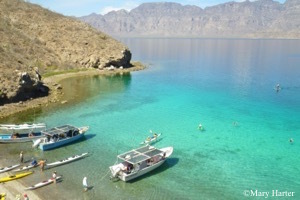 Take a look at some of our featured tours below to find the perfect Baja trip for you! MAR Y AVENTURAS S.A. DE C.V.
Sea & Adventures / Mar Y Aventuras updated their profile picture. 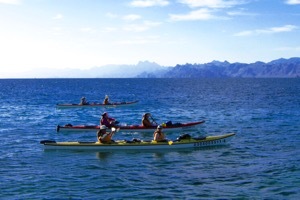 Fantastic 9 day Loreto to La Paz kayaking trip. Amazing national park, so untouched by tourism. Guides were so positive and passionate about their area, history and people. Kayaking and sea lions a highlight. Food was superb - cannot beat happy hour of ceviche and margaritas on the beach while watching the sun set. Thanks Hugo for this great photo! Hey everyone, Check out our 3 new videos of our different camps and you may see yourself! They are also on our website. Mar Y Aventuras excellent team! Guides training trip October 2018. They're ready to offer you another great season. Be sure to book your Baja adventure! This a fabulous tour operator! Best vacation ever!! 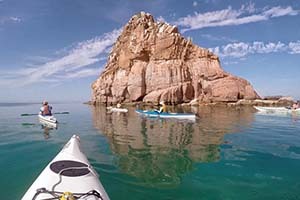 Kayaking, Candalero bay on Espiritu Santo Island, Baja, Mexico. Sea & Adventures / Mar Y Aventuras added a new photo. Hugo! Great, fun, knowledgeable guide!! We look forward to seeing you in "your happy Baja place" soon! Our luxury base camp on Espiritu Santo Island. You have a luxury base camp?! Is that new? These guys are the best AND this site is spectacular. Atlantic Sea Kayakings favourite resting place.